The following Electronic Device Policy will be in effect for all 2016 Las Vegas International Chess Festival events. 1. 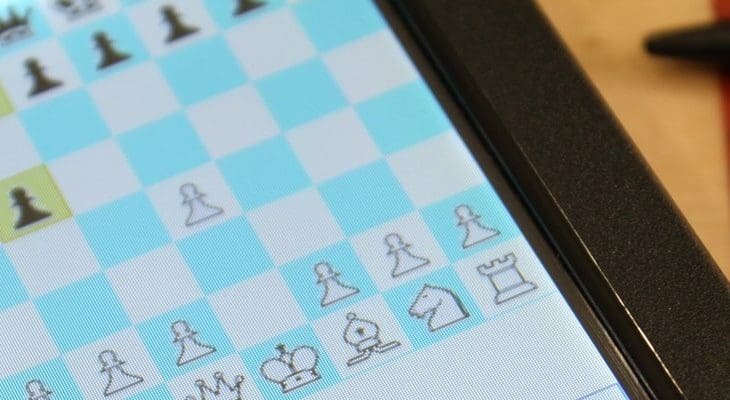 While playing, players may not use cellphones or other electronic devices capable of chess analysis or communication, without permission of a Tournament Director/Arbiter (TD). A player using a prohibited electronic device during play will be penalized. 2. Chess clocks and approved electronic score keeping devices are permitted. 3. Devices used to play music, which cannot communicate or operate software, will generally be permitted if the opponent does not object. After round 2 if either player has an 80% or higher score such devices are not permitted even if the opponent does not object. The use of a prohibited electronic device to play music is not permitted at any time. 4. During play, all prohibited electronic devices must be stored out of sight in a bag or case, etc. and must be turned off (not vibrate, silent, sleep or airplane mode). A player with a visible prohibited electronic device during play will be penalized. 5. A player whose prohibited electronic device makes an audible noise in the tournament room while a game is in progress will be penalized. If the offending player’s game is over, the penalty shall apply to the following round. 6. A player who needs to make a phone call during play should see a TD and request permission to do so. A player who anticipates possibly receiving an emergency call should notify a TD at least one hour in advance, and will usually be provided with an alternate number for the caller. a. The player is forfeited. b. 20 minutes or 75% of the remaining time, whichever is less, is deducted from the player’s clock. c. 10 minutes or half the remaining time, whichever is less, is deducted from the player’s clock. d. 10 minutes is added to the opponent’s clock. The TD will determine the penalty, taking into consideration the details of the offense and the scores of the players. A second offense will generally result in forfeit. If there is evidence of cheating the player will be forfeited and usually ejected from the tournament with no refund. A single penalty is generally applied for simultaneous violation of multiple rules. For example a player penalized for using a cellphone is not also penalized for having it visible. 8. The TD may ask a player to allow the TD to inspect the player’s clothes, bags, personal items or person. The TD will make every effort possible to respect the player’s privacy and sensitivity while ensuring the integrity of the game. Declining to cooperate with a search request may result in forfeit of game and ejection from the tournament with no refund. 9. While games are in progress, spectators may not possess or use cellphones or other electronic devices capable of chess analysis or communication within the playing halls. Spectators with such devices will be asked to leave.